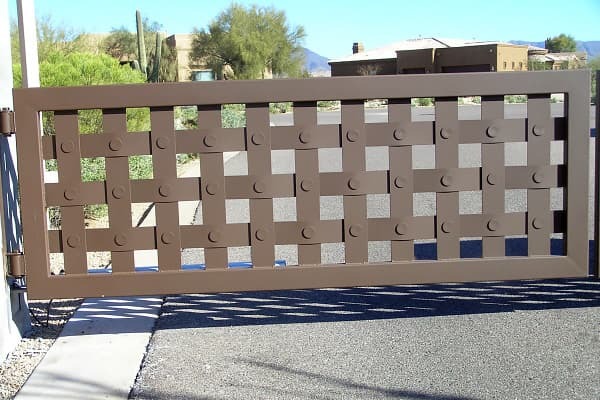 Sun King Fencing & Gates manufactures and installs custom residential and commercial driveway gates across the Phoenix area. Call us today at 602-989-0839. Add security and value to your home. The driveway leading into your home or business may need to be more secure to prevent unwanted intruders. A well-constructed driveway gate is an excellent solution to secure and add value to your property as well as protect your children, pets and livestock. Sun King Fencing & Gates has been manufacturing and installing high-quality driveway gates for the Phoenix Metropolitan Area since 2002. Every driveway gate that Sun King Fencing & Gates installs is custom-made to meet your specific needs. 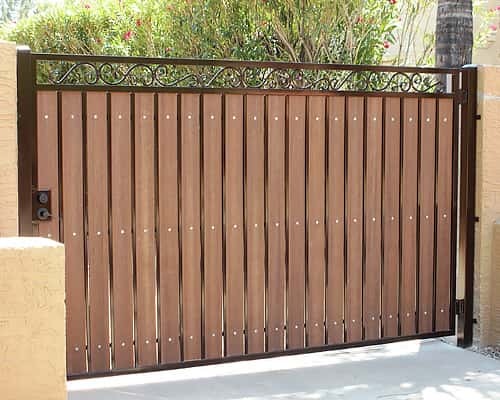 Enhance your driveway gate with a variety of popular design and functional features. If you have a design in mind for your driveway gate, our experts can help make it a reality. Sun King Fencing & Gates is a licensed, bonded and a registered contractor giving you assurance of professionalism and protection. 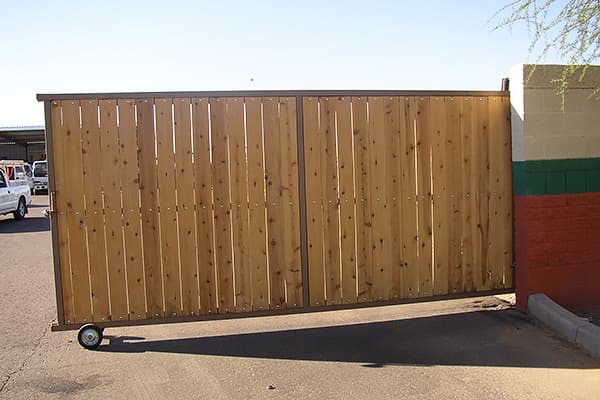 It's our goal to provide timely estimates for your driveway gate manufacturing and installation, and leave you with the perfect gate that you'll love for years to come. We are also able to adjust our estimate to meet your specific needs and budget. 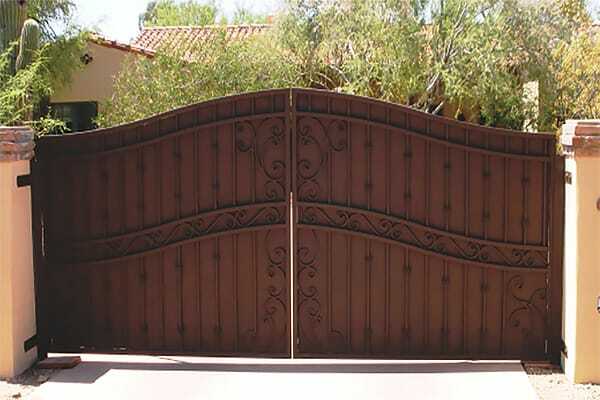 At Sun King Fencing & Gates, we are proud of every driveway gate that we produce and install. We also welcome honest feedback from our clients so that we can continue to provide an excellent service. Here's what our customers are saying about their experience with Sun King Fencing & Gates. Choose Phoenix's trusted driveway gates company. Have a specific idea for a driveway gate addition to your home or business? 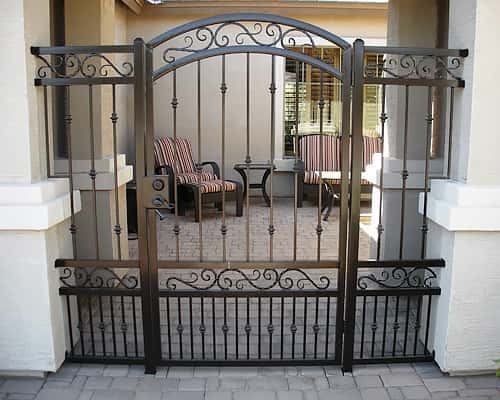 Sun King Fencing & Gates is ready to help design, manufacture and install a custom wrought iron and composite wood gate that meets your exact needs. To get started with a consultation, give us a call at 602-989-0839. You can also reach us with any wrought iron and composite wood gate questions by email using the provided form. 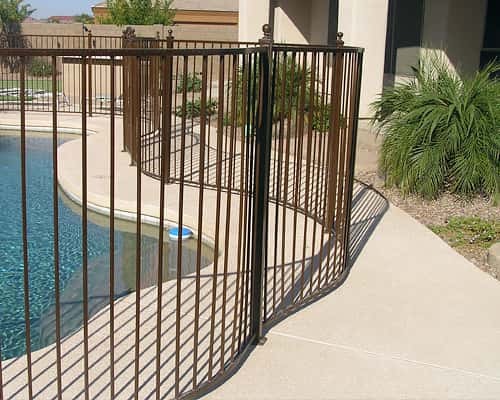 We proudly serve the communities of Apache Junction, Cave Creek, Fountain Hills, Gilbert, Chandler, Mesa, Paradise Valley, Phoenix, Queen Creek, San Tan Valley, Scottsdale and Tempe with high-quality wrought iron fencing and gates. Call us today and see how we can improve the look and safety of your home or business.